Home > About IATSS Forum > What is IATSS Forum? The IATSS Forum is an international training institute established in 1985 that aims to bring out the best qualities in individuals who will one day become future leaders in Asia. The IATSS Forum provides a place where young professionals can gather. 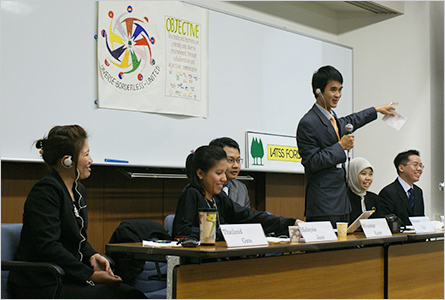 Inviting young and outstanding individuals from respective Asian countries, the Forum provides opportunities for participants to understand each others' countries through seminars, field studies, group study, and cultural exchanges, as well as to make efforts to solve current issues in Asia and Japan, under the motto "Thinking and Learning Together." The Forum Program is prepared by the IATSS Forum Program Committee, which is comprised of intellectuals from various circles. The issues to be taken up change each time, depending on the demands of the times. Inviting top-class lecturers from academic societies and business circles, participants will be able to improve their leadership capacity while learning liberal arts, rather than conducting deep research in specific fields. 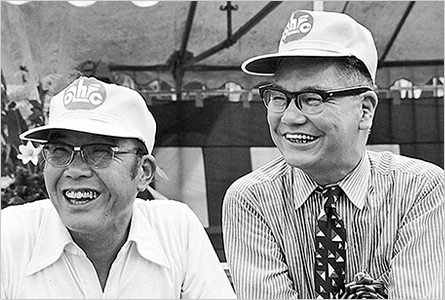 The IATSS Forum was established with private funds from Soichiro Honda, founder of Honda Motor Co., Ltd and his business partner, Takeo Fujisawa, In September 1985, the First IATSS Forum program was held with participants from Malaysia. 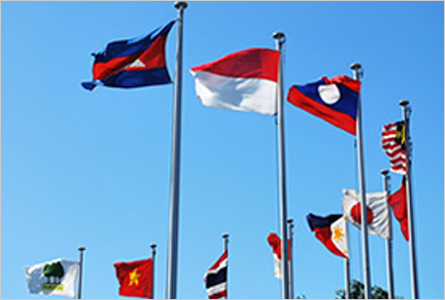 Although the program was originally held with participants from one country at a time, several years after its establishment, in 1991, the initial program was changed to the ASEAN Forum, a forum attended by representatives from several countries. During the 34 years since its inauguration (as of November 2012), the IATSS Forum has been held 60 times, having produced approximately 1050 alumni members. Today, we implement a 55-day program, inviting trainees each time from participating Asian countries to the venue in Suzuka City, Mie Prefecture. 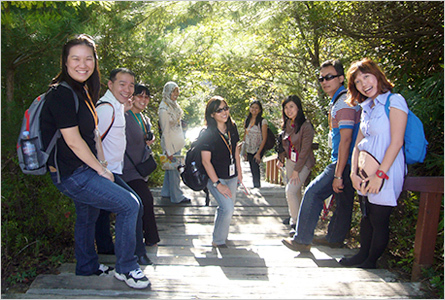 The IATSS Forum is not a program intended merely for learning new knowledge or experience of Japan, which is a different culture for most participants. The very aim of this Forum is to "develop Asia's next-generation leaders." We define leadership required for this aim as an "ability to make maximum use of group power toward the achievement of an objective." We hope to develop as many true leaders as possible who can work toward achieving their objectives by improving such leadership abilities, and by fully utilizing the expertise of their groups. Persons who can make maximum use of their group powers toward achieving an objective. The IATSS Forum provides an ideal environment as a place to develop leaders. Participants in this Forum, who have different social and cultural backgrounds and different nationalities, are Asia's future potential leaders who will play an active role in various fields such as governmental institutions, research institutions, and enterprises. Just as you are a specialist in a specific field, other participants are specialists in their respective fields. Forming a group with people from different backgrounds, participants will derive optimal answers by deepening their discussions through aiming at a single goal while learning each others' ideas and awareness of issues from perspective of their respective fields. This is the principle under which the program of this Forum is composed, and our most significant aim is that each participant improves their grounding as a leader, as well as learns methods of international and interdisciplinary approach. To that end, the program of this Forum is entirely based on the independence of participants. While participants themselves formulate and develop the program, we support those participants' efforts while at the same time setting a value on the independence of participants. Understand that it is participants themselves who actually create the program. Each participant shall take responsibility for their team's activities. Participants shall not only accumulate knowledge but also use their own knowledge and experiences in order to solve issues. Copyright © 2004-2013 International Association of Traffic and Safety Sciences, All rights reserved.